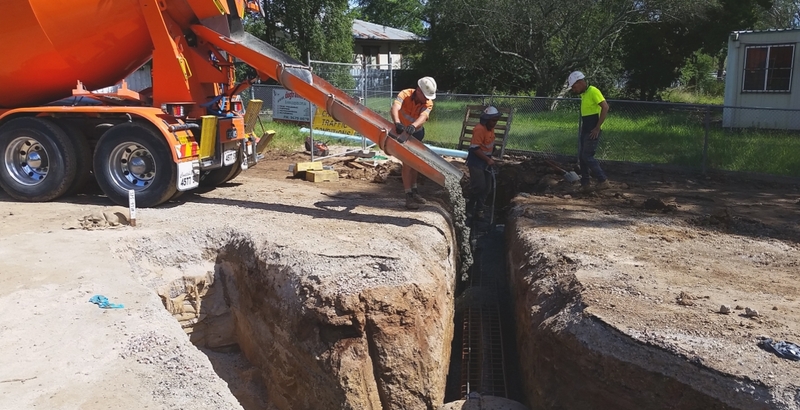 In 2016 Jonishan were contracted by Celestino Developments for the installation of the water main lead-in to supply the new estate The Gables in Box Hill. 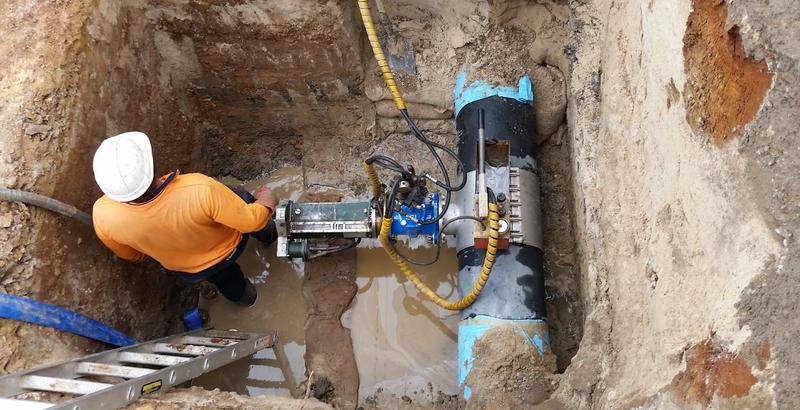 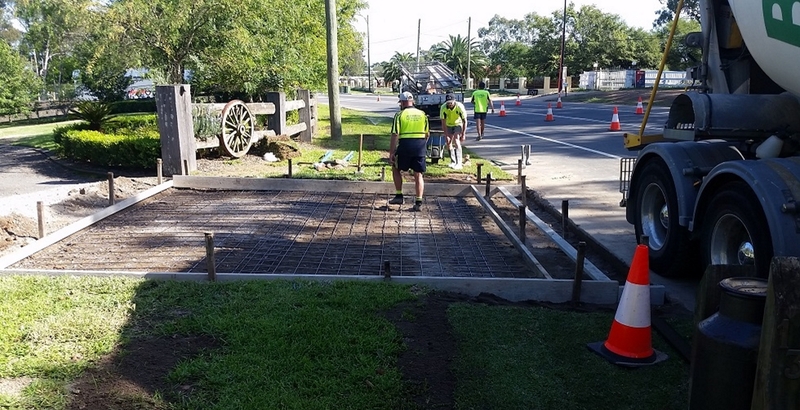 Complex co-ordination and programming was required to ensure multiple stages of the project coicide with other on-site trades, civil contractors, Hills Shire Council, Sydney Water and BGE superintendent. 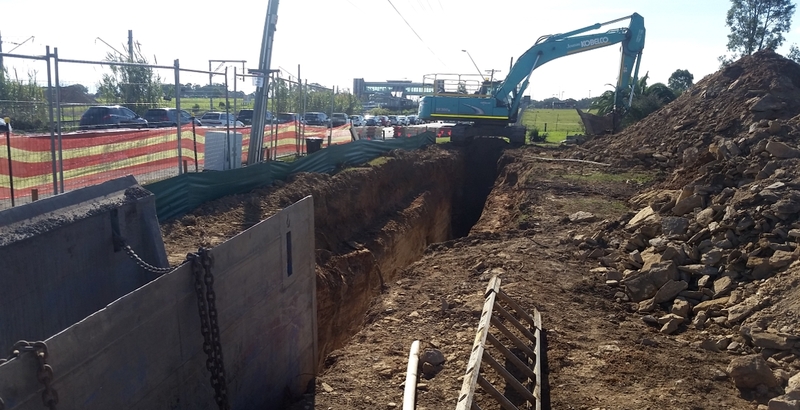 The water main lead-in required an overall length of 2780m of pipe installation at a depth of up to 6m. 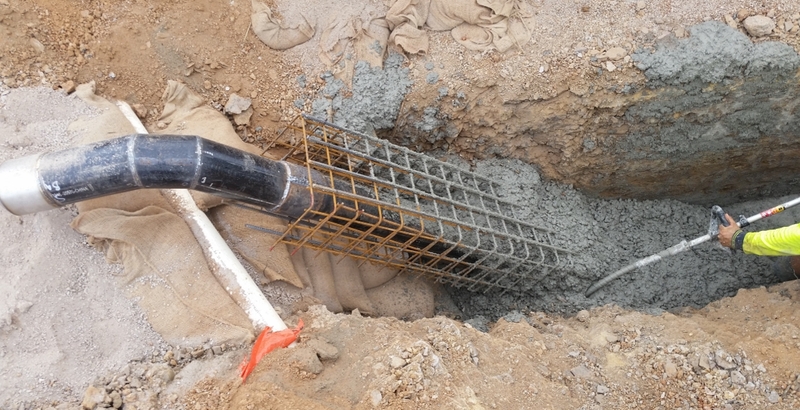 The project involved installation of DN150 OPVC, DN150 SCL and DN300/375 PVC in footpaths, DN150 DICL in scour line, DN300/375 DICL for road crossings including stabilised backfill and temp hot mix resto. 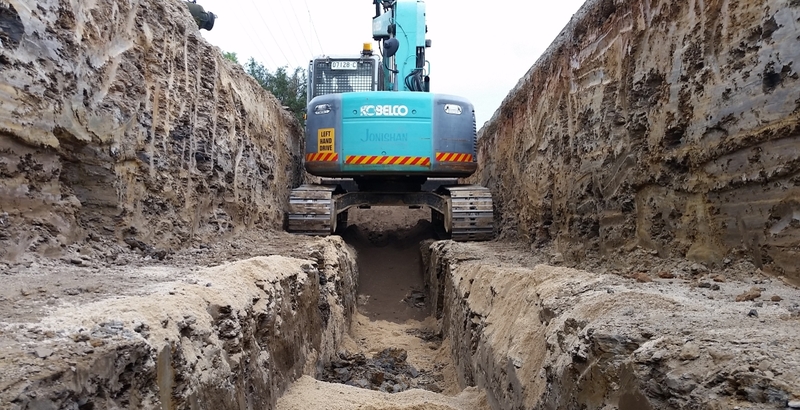 Trench excavation in shale & rock as well as road and landscaping restoration.